The first was demolished to widen a road. The second was torched after two weeks after it was inaugurated. The Hyderabad administration decided to tear down the church without informing its pastor. Christians fear for their lives and places of worship. 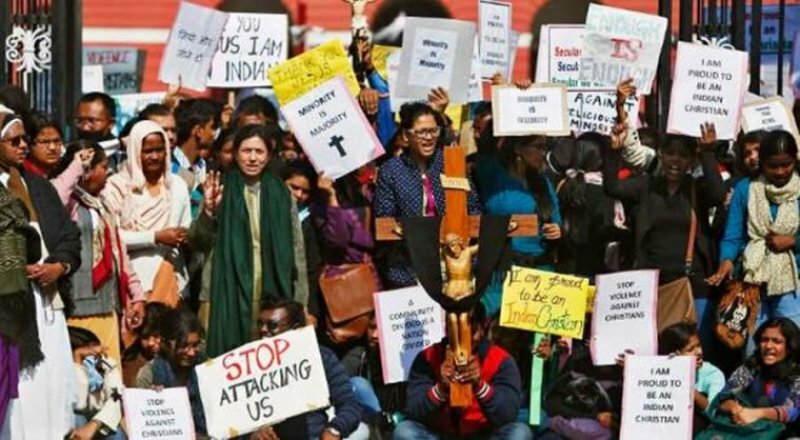 Mumbai (AsiaNews) – Two Pentecostal churches have been destroyed in recent days in the Indian state of Telangana. The first, Hosil Pentecostal Church, was demolished on 17 June to widen a road. The second was torched on Saturday by unknown criminals. It had just been inaugurated on 2 June. Speaking to AsiaNews, Sajan K George, president of the Global Council of Indian Christians (GCIC), condemned the latest act of persecution against Christians in India. The Christian leader noted that the Hosil Church had been open “for two decades, and that prayer services were held every Sunday. People came of their free will to worship Jesus in the church. This [incident] has hurt the sentiments of Christians." Last Friday, Greater Hyderabad Municipal Corporation had the church torn down in order to widen the road by 40 feet (12 metres). The pastor and some members of the congregation have gone to a police station to voice their concerns. “The Christian community lives in insecurity because of the high-handedness of civic authorities,” Francis explained. Fire was set at the second church around midnight on Saturday. "The Pentecostal pastor had just built and inaugurated the building at the beginning of the month and it was reduced to dust by strangers," George said. Since the beginning of 2016, India’s Pentecostal community has been the victim of several violent incidents. In February, a minister in Maharashtra was arrested on suspicion of practicing witchcraft. In April, worst befell Christians in Bihar. In Nabinagar, some believers were attacked, the pastor and other religious badly beaten. In Barh, a Christian was abducted and tortured for hours, after he had refused to insult the name of God.